Israeli forces, Wednesday, took over thousands of dunams in Ya'abad, southwest Jenin, in the northern West Bank, according to the PNN. Additionally, 78 new settlement units have been approved in occupied East Jerusalem. Director of the Ministry of Local Government, Mr. Ra'ed Muqabel, said that Israeli forces served eviction threats to dozens of citizens from areas near Yaabad (Um Dar, Nazlat Zeid, Zibda, Khiljan and other areas), even though they possessed official documents proving ownership of the property. Muqabel added that the decision was signed by a military order issued in 2009, and recently adjusted, prohibiting land owners from using their lands for construction or farming. He noted that this was a method for Israel to expand its illegal settlements, saying that it must be legally pursued, with specialists, in order to halt the theft of these lands. WAFA correspondence reports that the Israeli army, on Wednesday, also notified local residents in the locale of Khirbet Umm Al-Khair, to the south of Hebron, to remove their residential structures and tents. Coordinator of the Anti-Settlement Committee, Rateb Jabour, stated that an Israeli army force invaded the village, located near the illegal Israeli settlement Karmel, and served local villagers with notifications to remove eight of their residential structures and tents. The village is part of Masafer Yatta, a rural congregation of almost 19 hamlets which rely on animal husbandry as the main source of livelihood. Located in Area C of the West Bank, it is under full Israeli administrative and military control, and has been subject to repeated violations by Israeli settlers and soldiers targeting this livelihood. Israel rarely issues construction permits for Palestinians in Area C, which forces many to engage in construction without obtaining a proper permit in order to shelter their families. 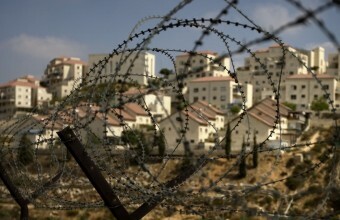 Israel has approved the construction of 78 new settlement units in East Jerusalem, Walla news site reported. 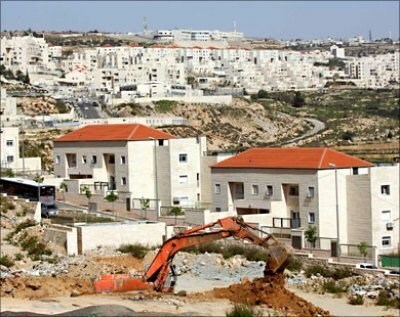 50 houses are to be built in Har Homa settlement, which is built illegally on Jabal Abu Ghneim, a private Palestinian property between Bethlehem and Jerusalem, according to Ma'an. The other 28 houses will be built in the illegal Ramot settlement, which is also built on private Palestinian land, between Jerusalem and Ramallah. The decision was approved by all the members of a planning and construction committee of the Jerusalem municipality, aside from one left-wing Meretz member, the report stated. Over 500,000 Israeli settlers live in the occupied West Bank and East Jerusalem, in direct contravention of international law. However, this blatant land theft continues to be met with only token denunciations from officials who could potentially intervene. 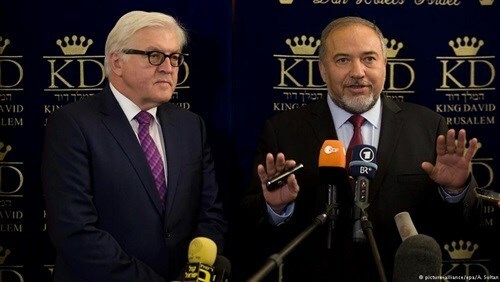 The Israeli minister of foreign Affairs, Avigdor Lieberman, on Sunday warned that Israel will never agree to limit its settlement activity in occupied East Jerusalem. 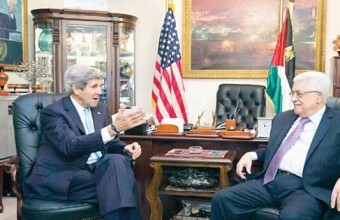 "We won't accept any limitation on building in Jewish areas of Jerusalem," Lieberman further roared. For his part, Steinmeir pushed for resuming peace talks, as he reiterated the initiatives launched by the US foreign secretary John Kerry to that end. Lieberman said there would hardly, if ever, be any room for middle-grounds or moderation regarding settlement activity in East Jerusalem. The Israeli occupation has stepped up illegal settlement building in Occupied Jerusalem and the West Bank, paying no heed to all international appeals and treaties outlawing such an illegal move. The Israeli District Committee for Planning and Building approved recently the construction of 500 new housing units in Ramat Shlomo settlement to the north of occupied Jerusalem, Kol Ha'ir Hebrew newspaper revealed Friday. Despite the land private ownership, Israeli municipality submitted the housing units plan to the District Committee for its approval, the newspaper added. The plan is a part of a previous settlement plan approved in 2010 to expand Ramat Shlomo settlement during US vice president Joe Biden’s visit to Israel, a move that aggravated misunderstanding with the US administration. Israeli authorities have intensified settlement construction and land confiscation in occupied Jerusalem and the West Bank despite the international large-scale criticism. VOA reported, today, that U.S. Secretary of State John Kerry was scheduled to meet with PA President Mahmoud Abbas in Jordan, Thursday. State Department spokeswoman Jen Psaki said, according to the PNN, the talks were likely to focus on how to lower tensions with Israeli occupation, particularly the recent flare-up in the dispute over al-Aqsa mosque in occupied East Jerusalem. Also up for discussion are the current efforts to rebuild the Gaza Strip, where Israeli airstrikes flattened entire neighborhoods during a 50-day war that left more than 2,100 Palestinians dead and some 11,000 injured. The meeting comes just a day after Israel announced a new phase of planned illegal settlement construction in a Palestinian section of East Jerusalem, and Bethlehem, in the West Bank. Psaki said, Wednesday, that the U.S. is "deeply concerned" about Israel's settlement construction plans, which "fly in the face" of the stated goal of achieving a two-state solution. 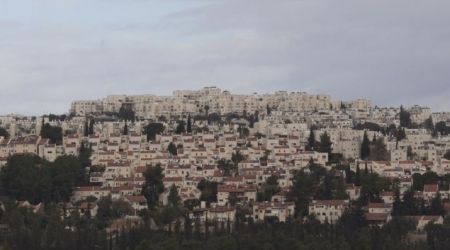 The Israeli “Planning and Construction Committee” of the Jerusalem City Council, is set to discuss the approval of 200 additional units in the Ramot Israeli settlement, in Jerusalem, during its Wednesday session. Israeli sources said the plan would then be moved to the “Regional Construction and Planning Committee” for final approval before bids are announced. Last week, the Regional Committee approved 500 new units in Ramat Shlomo settlement, north of occupied Jerusalem. The approval came after Israeli Prime Minister Benjamin Netanyahu gave a green light to the construction plan, causing large international condemnation. On Tuesday, November 4, the Planning and Construction Committee approved the construction of 278 units for Jewish settlers in occupied East Jerusalem. It is worth mentioning that the Israeli government budget for 2015 would include an additional $15 million for the settlement division of the World Zionist Organization. On October 23, the Israeli Cabinet allocated 130 Million Shekels (nearly $35 Million) for the settlement Division of the World Zionist Organization for what it called “developing agricultural and rural settlements,” without providing details on how the money would be divided, to cover constructions in the occupied West Bank, the Galilee and the Negev, Israeli daily Haaretz said. The approval came just two months after the Israeli government granted the settlement division around 80 Million Shekels for “rehabilitation projects” in settlements close to the Gaza Strip. The allocated amount will be added to the current budget of 58 million. Labor Party Member of Knesset (MK) Stav Shaffir revealed that the budget for Jewish settlements in the year 2015, witnessed a %240 increase, including %75 for settlements in the occupied West Bank, and occupied East Jerusalem. Settlements are illegal under International Law, and the Fourth Geneva Convention to which Israel is a signatory. Norwegian Foreign Minister Borge Brende slammed Tel Aviv’s plans to expand illegal settlement in Occupied Eastern Jerusalem. Norway’s senior diplomat expressed concerns over the latest tension rocking Occupied Jerusalem, dubbing the current state of affairs in the region as “extremely critical” due to the recent clashes and police violence around al-Aqsa. He further laid emphasis on the inherently sacred character of occupied Jerusalem, calling for urgently rehabilitating its sanctity and denouncing all potential attempts at wiping out its historical idiosyncrasy. Norway’s Brende further slammed Israel’s settlement tenders aimed at engulfing East Jerusalem and smudging its typically Islamic essence, dubbing the move a barefaced infringement of all international laws. The United States Agency for International Development (USAID) announced, today, a U.S. contribution of $100 million in budget support for the Palestinian Authority (PA), according to an official press release. WAFA reports that, in a ceremony at the Office of Prime Minister Rami Hamdallah, Minister of Finance Shukri Bishara, U.S. Consul General, Michael Ratney, and U.S. Agency for International Development (USAID) West Bank and Gaza Mission Director Dave Harden announced the U.S contribution to the PA.
At the October 2014 Gaza Donors Conference in Cairo, US Secretary of State John Kerry announced $414 million in U.S. assistance to the Palestinians, which designated $212 million to be delivered through USAID. Today's transfer will be used to directly pay for fuel purchases and support of six hospitals in occupied East Jerusalem, allowing them to continue to provide critical services to the public. In light of the tumultous escalation of violence in East Jerusalem, as well as Israel's continued policy of settlement expansion in the face of international pressure to resolve this historical conflict peacefully, several countries including France, Britain and Sweden have expressed dissent with Israel's handling of its affairs. "’The good thing about Netanyahu is that he’s scared to launch wars,’ the official said, expanding the definition of what a chickenshit Israeli prime minister looks like. ‘The bad thing about him is that he won’t do anything to reach an accommodation with the Palestinians or with the Sunni Arab states. 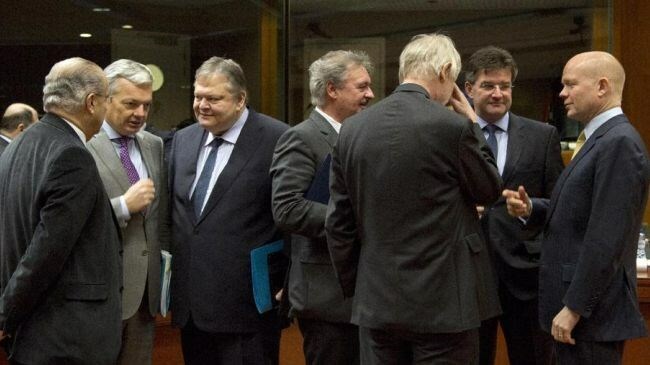 The only thing he’s interested in is protecting himself from political defeat. He’s not [Yitzhak] Rabin, he’s not [Ariel] Sharon, he’s certainly no [Menachem] Begin. He’s got no guts.’"
Furthermore, the Japanese government, in a Wednesday press release, urged Israel to desist from implementing its plans for the construction of 500 new settlement units in occupied East Jerusalem, for the sake of progress in the peace process. The statement deeply deplored Israel’s approval to advance the construction plans, calling upon Israel to refrain from any unilateral act which would change the current status of East Jerusalem, as well as the West Bank. “As the Government of Japan has repeatedly expressed, The Israeli decision has a negative impact on the current security situation in Jerusalem and the ceasefire agreement regarding the Gaza Strip, and clearly goes against the ongoing efforts by the international community toward realizing a two-state solution,” said the release. “Japan once again strongly urges both Israeli and Palestinian sides to act to enhance mutual trust and continue to make steady efforts for peace,” it concluded. WAFA reports that, once again, Spain has reiterated its position on the illegal nature of all settlements, a position it shares with the international community -- that the settlements are illegal under international law. Committee of Planning and Construction of Israeli occupation municipality in occupied Jerusalem approved Wednesday the construction of 278 new housing units in settlements over the green line . The Israeli web site noted that the plan includes the construction of 216 units in "Ramot" settlement, and the construction of 62 housing units in "Har Homa" settlement south Jerusalem. The committee approved last Sunday to build 500 units in "Ramat Shlomo" settlement north Jerusalem, within the plan includes the confiscation of more land for the benefit of a new incision street of settlement. The Israeli channel 2 recently unveiled the occupation government's approval of constructing more than one thousand housing units, mostly in Jerusalem, as part of the deal that includes the construction of more than two thousand units in the West Bank and Jerusalem. 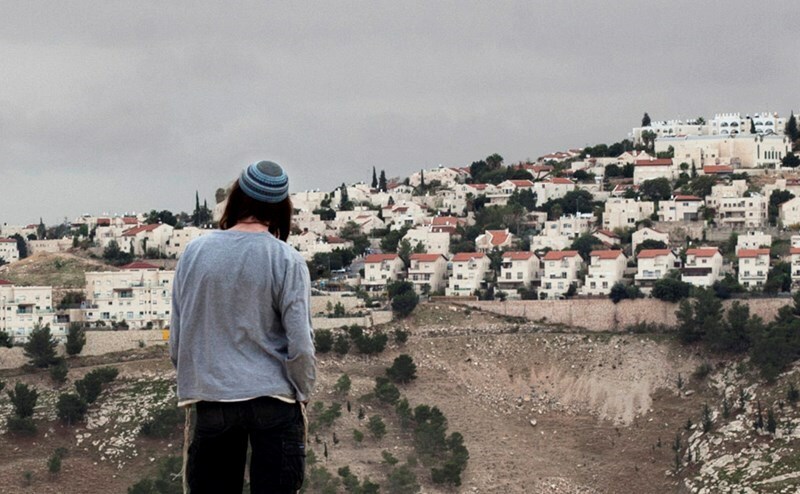 Israeli municipality stated that it will not freeze construction of settlements in occupied Jerusalem. The Israeli district planning and building committee in occupied Jerusalem is expected to hold today a meeting to approve a new settlement plan in occupied Jerusalem, the Hebrew radio said. 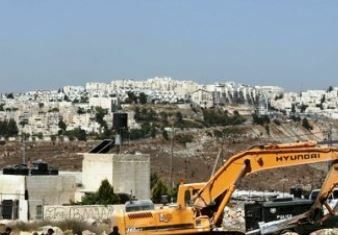 The plan includes the establishment of new 660 housing units in occupied Jerusalem, the sources added. Prime Minister Benjamin Netanyahu has ordered to move ahead with plans for 660 new housing units in occupied Jerusalem, according to Israeli sources. The plan is believed to be part of pledges to expand settlement activities made recently by Israeli premier Benjamin Netanyahu to the right wing and extremist Jewish groups in exchange for supporting him politically. the recent Israeli approval of a plan to build 1000 new housing units in Jerusalem has drawn widespread international condemnation, especially by the US administration and the European Union. The Israeli Occupation Authorities (IOA) started implementing a new settlement project that includes the establishment of 71 housing units in Har Homa settlement in occupied Jerusalem. The Kol Ha'ir Hebrew newspaper said that the project includes the construction of three 8 to 9 storey buildings each containing 21 up to 27 housing units. A UN report earlier said that Israeli settlement activity in the occupied Palestinian land had doubled in the last four years. The number of Israeli settlements in occupied Palestinian land has doubled in the last 54 months, UN Commission on Human Rights member Cees Flinterman said today. Flinterman presented the fourth stage of a report monitoring activity of Israel's practices in Palestinian territory in a press conference held at the United Nations in Geneva. The UN official asked Israel to halt settlement expansion in occupied Palestinian land, adding: "We have yet to receive an official response from Israel in regards to the increased number of settlements in the West Bank."